Live At The Beacon… A Sneak Peek! 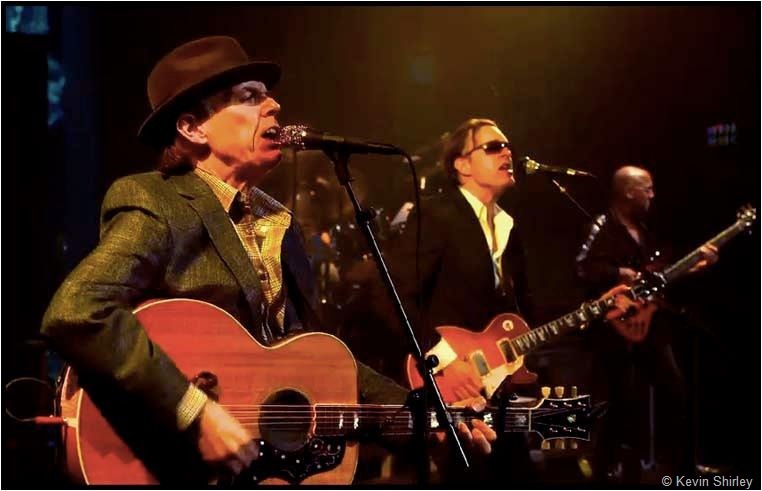 Joe Bonamassa and John Hiatt performing together at the Beacon Theater back in November. Joe’s upcoming DVD, Live at The Beacon is due for release on March 27th on DVD and BluRay. Joe’s right hand man, Kevin Shirley, posted the picture above today on his Facebook page. Notice how Kevin also mentions BluRay! Both BluRay and DVD share the same release date. Kevin has just finished editing the live footage in Toronto. The final audio mix will be done this weekend. Make sure you’re following him on Facebook. Beacon Theatre Releasing on CD & LP in 2012? Live At The Beacon In January? I was very thankful Joe came to Albuquerque this last summer and i was totally blown away by this great talent and songwriter. I am a lousy guitar player and will always be a lousy guitar, but after seeing this great performance, i am a proud lousy guitar player. I am also an old indian man and one of my all time favorite artists thru the years is John Hiatt. His music has never been main stream which greatly reflects this country’s lack of awareness to such a talented song writer. I thank Joe Banamassa for not being a talent that is blinded by this country’s main stream, uninspired world of music. …….and, in the future, if i don’t see anything change, i will take all indian land back from the united states and distribute it back to my red brothers. Amazing, great to see a bluray edition will be available around the same time, can’t wait too, looks like Joe & band will have a very busy year, and with a new album over the next few months, it will be something to look forward too.